The yacht Princess V78 with its powerful engine to complement her sleek profile and an opulent yet contemporary interior, is built to excite the senses. Princess V78 delivers the ultimate blend of style and V Class performance and is one of the most dynamically capable models Princess has ever conceived. This Princess V 78 was built in 2011 by Princess Yachts. 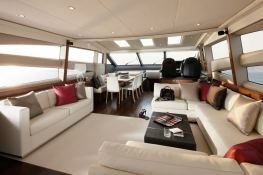 With its 2 crew members, she welcomes up to 8 passengers on board to explore Sardinia. This Princess V 78 can reach a cruising speed of 28 knots thanks to its 2 powerful 1825 hp engines. This 78 yacht available for charter in Sardinia is fully equipped with equipped galley, generator, watermaker and also waterski, CD and DVD for leisure. 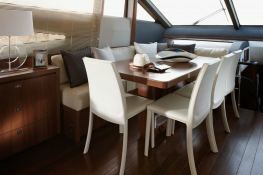 This motoryacht is available for yacht charter with a base price of 35 000 € (approximatly 39 471 $). 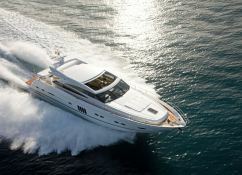 boat Princess V 78 Princess Yachts yacht charter reviews : 4 out of 5 based on 1 rating. 1 user reviews. 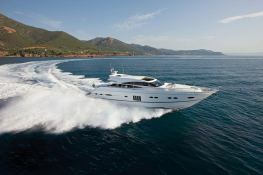 An excellent motoryacht ! 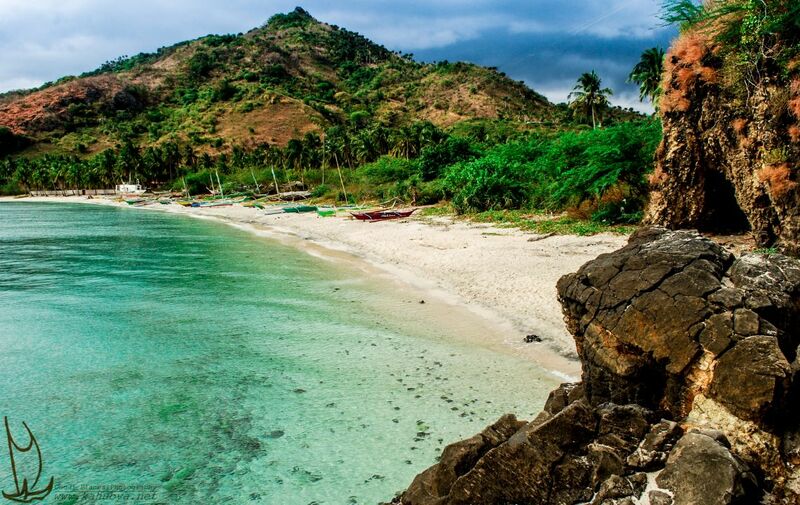 We really enjoyed discovering the best spots in Sardinia ; We paddled to some of the area's most secluded beaches. The crew was ok except some minor ups and downs... but well the overall experience was worth the time and money.